a period of seclusion for the purposes of prayer and meditation. Where can you escape to for healing the mind, body, and spirit? With its many beautiful beaches, rocky outcroppings and gardens with oceans views, and wooded pathways to choose from almost any spot on Cape Ann will generally do! 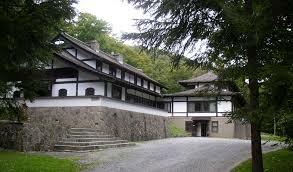 But on the special occasion of the August 15th/150th Anniversary of the birth of USUI Sensei, (founder of the Japanese Healing Method/Art of Reiki Ryoho,) I chose to drive 5 hours to an isolated monastery in the Catskill Mountains. Dai Bosatsu Zendo Kongo-ji (DBZ,) is a Zen Buddhist (Rinzai) monastery and retreat center located on 1,400 acres in a deciduous forest region of the Catskills in upstate New York. While Reiki is not a Buddhist or religious practice, the founder of Reiki Ryoho was a Pureland Buddhist monk from Japan. 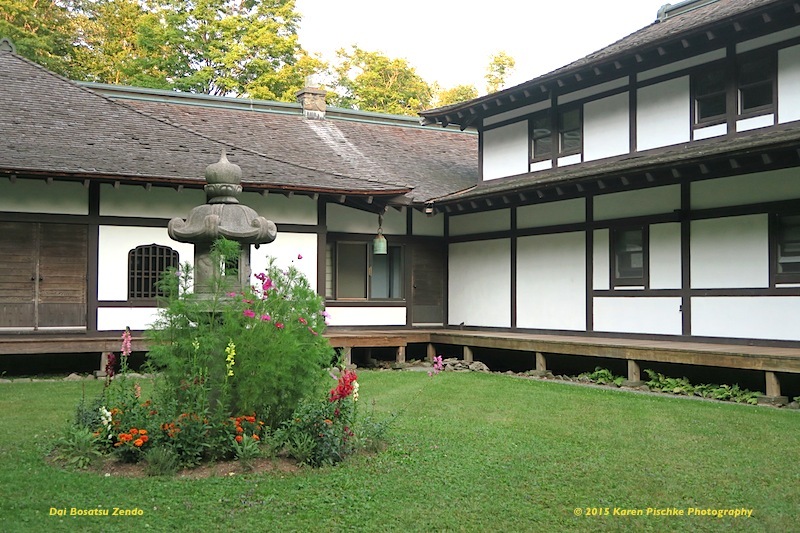 Located with the highest lake in the Catskills, with the nearest town over 20 miles away, no wi-fi, and fashioned to look like a Japanese Buddhist temple, DBZ is a perfect place for meditation, retreat, and Reiki Teacher Training refresher. The Road to Sanctuary – After 4 1/2 hours of highway travel, the road leading to Dai Bosatsu Zendo Kongo-ji​ is nearly 20 miles of meandering road, much of it dirt. Once you arrive at the entrance gates, there’s still another 2 miles to navigate. No street lights, a rugged and rutted road, and no GPS necessitated a pre-sunset arrival and slow drive. A good introduction to what the weekend would entail. Driving slowly along this road surrounded by the peace and beauty of nature allowed us to better enjoy the sounds of nature with glimpses animals. We rolled down the windows to better enjoy the sights, sounds, and scents of nature. Birds and crickets chirped a harmonious welcome. A bubbling brook created a peaceful, rhythmic vibe for our final leg. We rode in silence. Breathing took on a restful pace, coming slower and deeper. Trees lining the road provided shade and a refreshing coolness on this hot August day. The scent of fresh air, earth and flowers danced in and out of our breathing passageways. Deer enjoyed an evening meal alongside the road, lifting their heads as if to say ‘hello’ before resuming eating. Unperturbed by our presence. Blood pressure lowered. Having been here before, it felt a bit like ‘coming home’ and we welcomed the sense of peace that ensued. Symbol of Freedom – On this occasion, just outside the Joraku-an in a tall pine sat a beautiful and majestic eagle. It seemed an auspicious sight, welcoming us to the 150th Anniversary of the birth of USUI Mikao, founder of Reiki Ryoho. The first of many ‘gifts’ we would receive throughout the weekend. This symbol of ‘freedom’ seemed a good omen for a weekend retreat. Reiki Teacher from Japan – Here we met with Inamoto Hyakuten Sensei, founder of Komyo Reiki Kai™ and Reiki Teacher from Kyoto, Japan. Other Reiki Teachers from around the globe joined us for retreat, training and celebration, including Hiroki Nishina of Japan. This was Hiroki-san’s first time in the United States. I offered him a GMG cap and sticker as a memento of his trip to the U.S. Here, Hiroki proudly displays GMG in his home town of Kurashiki, Japan. Hiroki Nishina Representing in Kurashiki Japan. Nice Hiroki-san! Thanks for ‘representing’ GMG in your home town in Japan! ~ Arigatou Gozaimasu! ~ Kansha Shite. That is indeed a beautiful sunset! 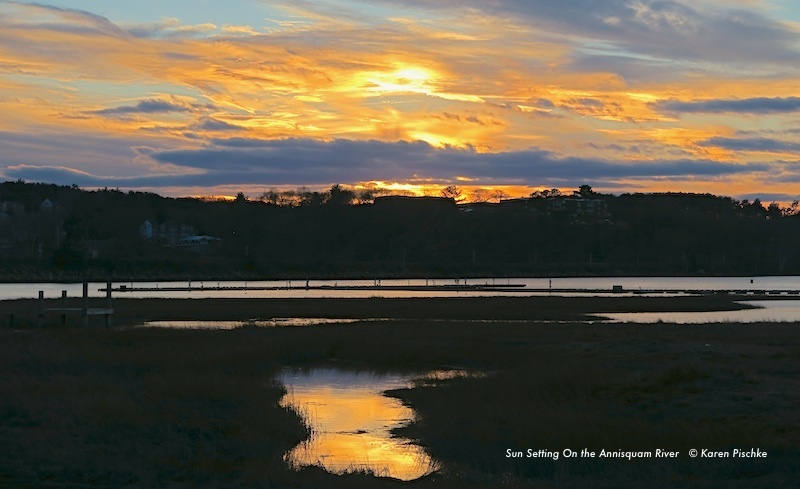 Hope you get to Cape Ann to enjoy the sunsets, beaches and warm, friendly people. 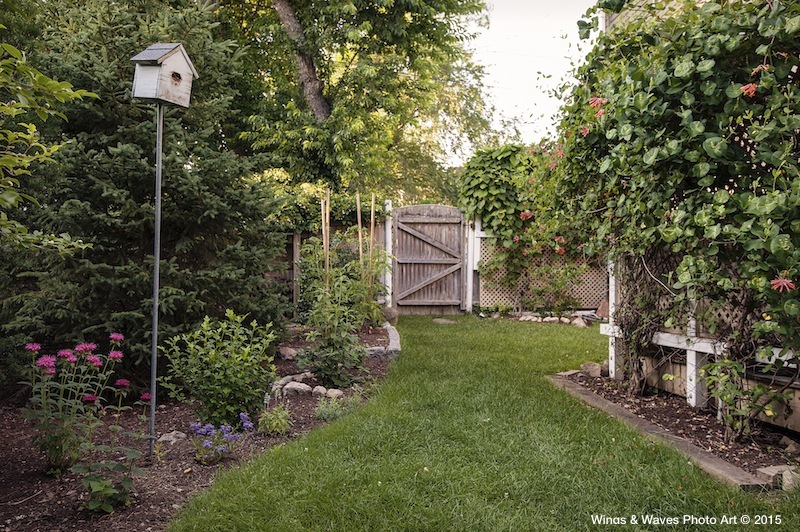 Backyard Retreat – Don’t have time or can’t afford to travel for a structured retreat? You can arrange to have a ‘healing retreat’ in your own back yard. We are fortunate to have so many wonderful places for ‘retreat’ here on Cape Ann. Even in your own home, while imagining a peaceful place in nature. Minimize outside distractions if possible; turn off cell phones and computers. Begin with a few slow, deep cleansing breaths, then continue breathing at a restful pace. Easy In. Easy Out. Observe and connect with the beauty of nature around you, using all of your senses – sights, sounds, scents, textures. For Best Benefit – use relaxation techniques along with other positive coping methods, such as positive thinking, humor, managing time, exercise, adequate sleep, support from family and friends, and when necessary support of a professional. However you choose to find your sanctuary, enjoy the health benefits of time away in a peaceful setting! Do you have a favorite place or ‘retreat and relaxation?’ If so, share with FOB. P.S. You can find more photos related to this and other retreats on Dreamtime Wellness and Komyo Reiki Kai Boston Facebook Pages.